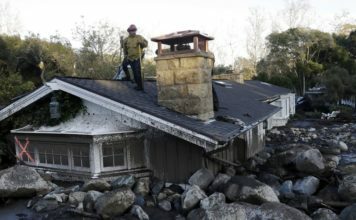 The death toll from the mudslides that struck Southern California climbed to 15 on Wednesday, with 24 people unaccounted for, as rescue crews searched for anyone trapped, injured or dead in the onslaught that smashed homes and swept away cars. 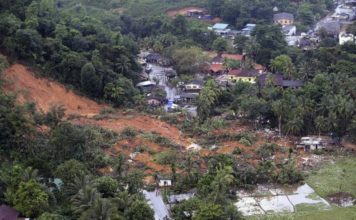 The drenching rainstorm that triggered the disaster early Tuesday had cleared out and was no longer a hindrance as searchers made their way across a landscape strewn with boulders and covered shoulder-high in places with mud the consistency of wet cement. 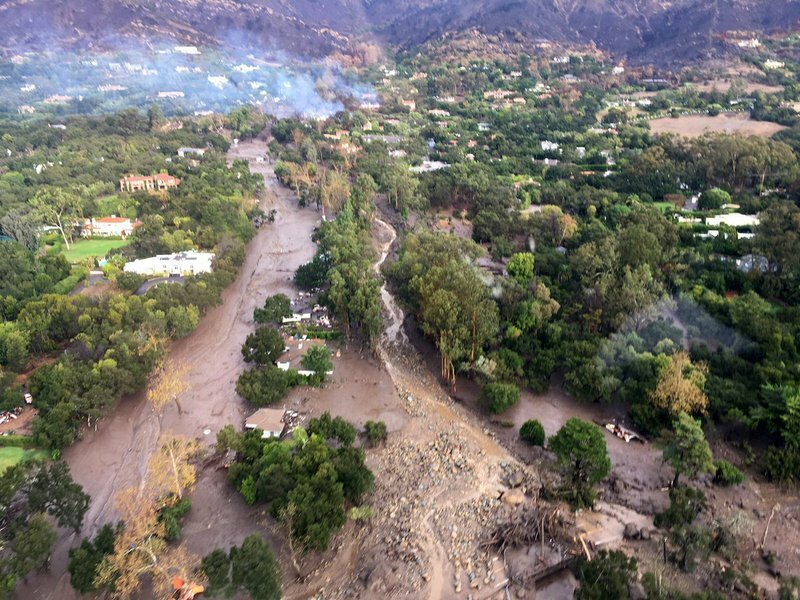 Fifteen people were confirmed dead and two dozen people remained missing Wednesday, said Amber Anderson, a Santa Barbara County spokeswoman. Damage spread over 30 square miles, she said. At least 25 people were injured, 50 or more had to be rescued by helicopters, authorities said. Four of the injured were reported in severely critical condition. A storm-related death was also reported in Northern California, where a man was killed when his car was apparently struck by falling rocks in a landslide Tuesday evening in Napa County. Most of the Southern California deaths occurred in and around Montecito, a wealthy enclave of about 9,000 people northwest of Los Angeles that is home to such celebrities as Oprah Winfrey, Rob Lowe and Ellen DeGeneres.